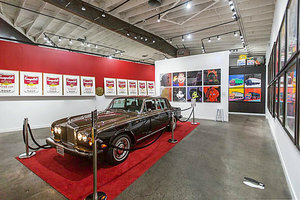 This characterful Art Gallery in the neighborhood of Pico Santa Monica is great for brands looking to host a short-term Pop-Up Store, Product Launches or Private Sales. 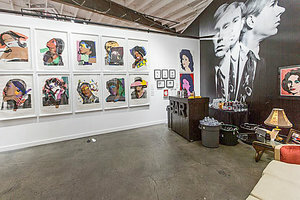 Housed in an existing art gallery that holds over 100 pieces of art made by Andy Warhol, this space is one-of-a-kind. The characterful interiors of white walls, cement floors and plenty of art make this space tasteful yet distinctive. 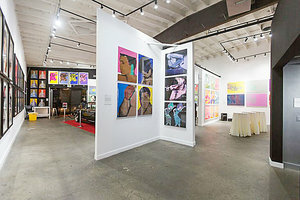 This loft space is well-equipped for creative pop-ups and events with bathrooms, lighting and sound & video equipment. Located close to Santa Monica Freeway this shop is easily accessible and a great location for pop-ups and events. Available to rent for a maximum of one day, this space is ideal for brands looking for a short-term rental opportunity.